Being passionate about Latin American cinema in the Bay Area can be frustrating. 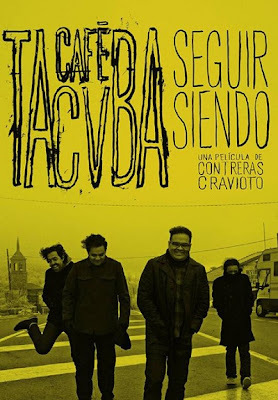 Despite our favorable demographics and purported status as America's second-ranked center for film culture, scads of new Latin American films – from established auteurs to promising newcomers – make noise on the festival circuit each year yet ultimately fail to reach our screens. 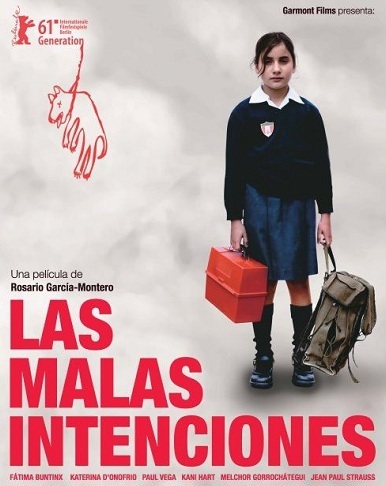 The most egregious example is probably Claudia Llosa's The Milk of Sorrow (La teta asustada), a 2009 Peruvian film which affirmatively answered the question, "Can a movie win the Berlin Film Festival's top prize and get an Oscar® nomination for Best Foreign Language Film and still go unseen by Bay Area audiences?" As Ricky Ricardo might say, I think our local programmers have some 'splaining to do. And so it was I checked out the line-up for this year's Cine + Mas' San Francisco Latino Film Festival (SFLFF) and came up with a total blank. Not one of the 19 narrative and documentary features rang any bells, necessitating a lot of research to ferret out the potentially worthwhile. Below is my resultant take on the program, along with details on upcoming Bay Area cinema events of Latin American interest. But first, the basic info. This is Cine + Mas' third year producing the festival, filling the void left by 2008's adios of Sylvia Perel's 12-year-old Latino Film Festival. It runs September 16 to 25, with the bulk happening at Landmark Theater's Opera Plaza Cinema on Saturday and Sunday, September 17 and 18. (Surprisingly, the festival didn't re- engage the Mission District's Roxie Theater, which seemed to work well as principal venue last year.) Additional screenings are booked into other Bay Area locations including Landmark's Embarcadero Cinema (opening night), the Mission Cultural Center, the Brava Theater, Pacific Film Archive and College of Marin. A closer look at the 2011 SFLFF line-up revealed at least one familiar name – that of acclaimed Mexican director Luis Estrada (Herod's Law). 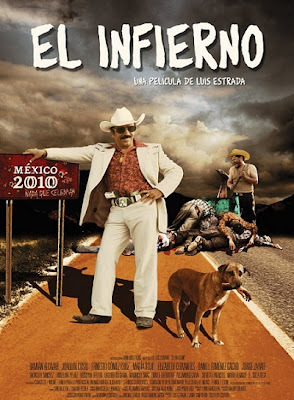 His latest film Hell (Infierno) is a pitch black satire about a man deported from the U.S. to Mexico, and his re-acclimation to a homeland more corrupt and violent than the one he left behind 20 years ago. In spite of being denounced by the Mexican government, Hell received a staggering 14 Ariel Award (Mexico's Oscar®) nominations. It won nine, including Best Picture, Director and Actor, making this my Top Pick for the festival. You might want to secure advance tickets for this, as there's only one screening and the Opera Plaza theaters are small. I've got mine. Far down Hell's cast list you'll find the name Gabino Rodríguez, a young character actor who plays small roles in big films (Rudo y Cursi, Sin Nombre) and leading roles in small Mexican indies (Perpetuum Mobile and The Cinema Hold Up, the latter a recent Sundance hit that would have been great in this festival). 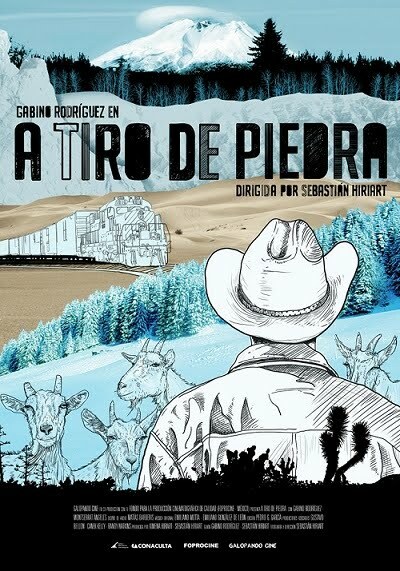 For A Stone's Throw Away (A tiro de piedra), Rodríguez co-wrote the screenplay with director/cinematographer Sebastián Hiriart and plays a goatherd whose omens and visions lead him on a quest to Oregon. 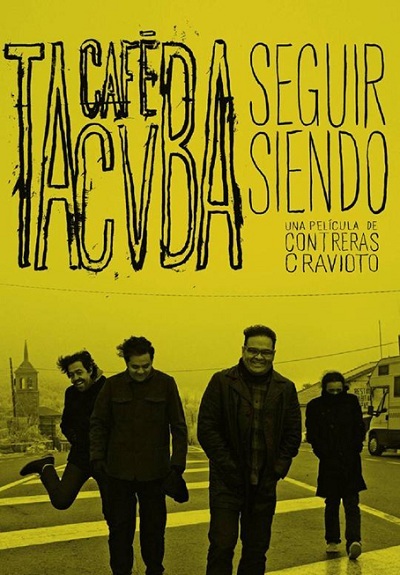 This laconic road movie has played several significant festivals like San Sebastian, Morelia, Dubai and Miami. 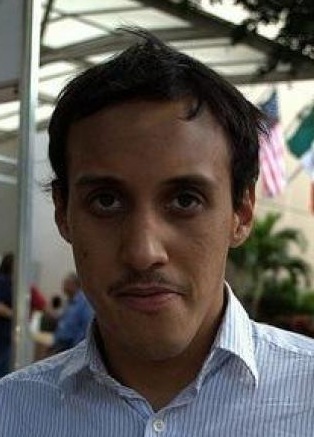 While Variety's Jay Weissberg gave it a mixed review, Howard Feinstein at indieWire praised Rodríguez' "masterful performance" and Hiriart's "outstanding cinematography. His feeling for natural, urban and small-town landscapes is unique, as if the steady eye of divinity were observing the world." San Francisco's Chinatown makes an appearance in the film. 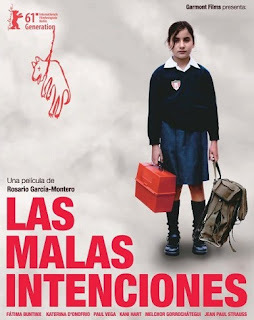 I've liked every Peruvian movie I've seen recently, which is why I plan on catching Rosario Garcia-Montero's directorial debut The Bad Intentions (Las malas intenciones). 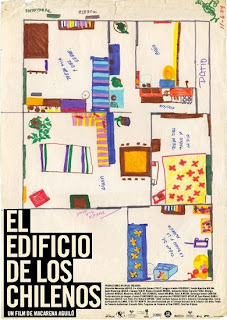 Against the backdrop of Peru's civil war – 1982 to be exact – a morose rich girl acts out in weird ways when her mother gets pregnant. In a rave review from the L.A. Film Festival, indieWire's The Playlist names Garcia-Montero "a great new voice in the world of cinema" and calls The Bad Intentions "one of the best films of the year." Alyssa Simon's more measured Variety review detects the influence of Argentina's Lucrecia Martel. 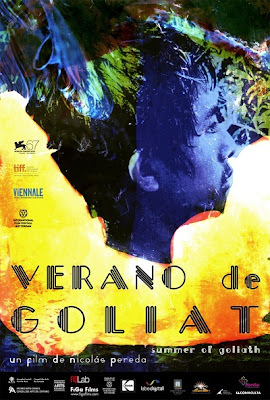 This might a good place to mention that the San Francisco Film Society will be bringing the Peruvian film Octubre, to its recently launched SFFS/New People Cinema later this autumn. Co-directed by brothers Daniel and Diego Vega Vidal, this excellent deadpan social comedy won Cannes' Un Certain Regard jury prize in 2010. Highly recommended. Watch the SFFS website for dates. Another notable director in this year's fest is Venezuela's Fina Torres, who won Cannes' Camera d'or in 1985 for her first film, Oriana. I seem to remember liking her Celestial Clockwork at the 1996 SF International Film Festival, but I steered clear of 2000's Penelope Cruz vehicle, Woman on Top. 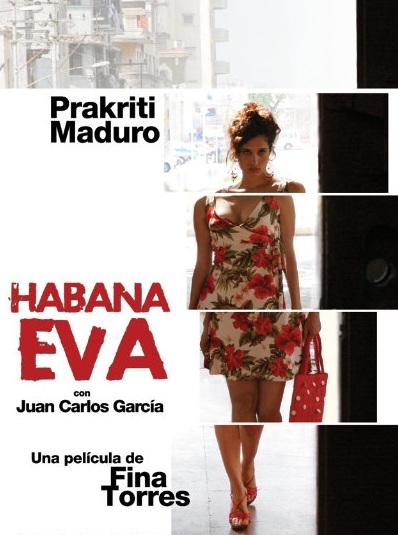 Her latest is Habana Eva, a feisty romantic farce about a young seamstress torn between two men – her layabout architect fiancé and a foreigner who's on a real estate buying spree. What's a Habanera to do? Everyone is the trailer is ridiculously attractive and reviews I've read run good to mixed (with some ridiculing Torres' injection of magic realism.) But all agree there's enough going on – including some sly political commentary – to elevate the film above genre norms. We find a wide range amongst the remaining SFLFF narrative features. Nicolas Lopez' love-in-the-time-of-Facebook comedy F*** My Life (Que pena tu vida) was Chile's biggest box office hit of 2010, and has already produced a sequel, F*** My Wedding. Todd Brown at Twitch calls it "a remarkably authentic rom-com for twenty-somethings" and "a fun little ride for what it is." Iris Disse's drama Following the Stars (Siguiendo las estrellas) looks like it could provide an insightful look at Panama's indigenous islanders, the Kuna. In Veronica Reidel's melodrama Capsules (Capsulas), a rich Guatemalan boy is forced to transport heroine capsules by his mother's drug kingpin boyfriend. Be forewarned – Robert Koehler in Variety calls this one "risible," with "crude staging, rickety pacing and telenovela-quality acting." Finally, there are two U.S. indies in the festival. MLK Jr. Way is a local slice of docu-fiction mumblecore about two Oakland Mexican-American slackers. Recently rendered jobless and homeless, they hatch a plan to secure rich white girlfriends to solve their problems. 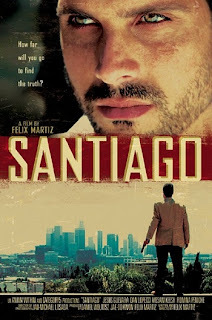 Then in Felix Martiz' low-budget thriller Santiago, an actor doing research tags long with a notorious pimp/dealer for one day. Documentaries make up half the SFLFF line-up, starting with the opening night film, Café Takvba (Seguir Siendo: Café Takvba). It's a portrait of Mexico's most venerated rock band, whose personality and eclecticism have assured their popularity for over 20 years. The remaining docs are all of a more serious nature. Cruz Reynoso: Sowing the Seeds of Justice examines the remarkable life of the first Latino appointed to the California Supreme Court. It was shown at last year's Mill Valley Film Festival and will screen on KQED later this month. Other U.S. documentaries focus on a controversial Arizona Latino studies program (Precious Knowledge) and the murder of a Colorado transsexual teen Photos of Angie (Fotos de Angie). In contrast, Blattangelus steps inside a LGBT-friendly church in Mexico City. The legacy of brutal Latin American dictatorships is the subject of three more documentaries. Open Sky (Cielo abierto) remembers rebelious Salvadoran archbishop Óscar Romero, who was assassinated in 1980 by U.S.-backed government thugs. In his review for Variety, Jay Weissberg calls this film an "absorbing portrait" and "moving tribute to a major late 20th century figure." Then in La Isla: Archives of a Tragedy, a 2005 Guatemala City explosion leads to evidence of a secret government prison where thousands were tortured and murdered. 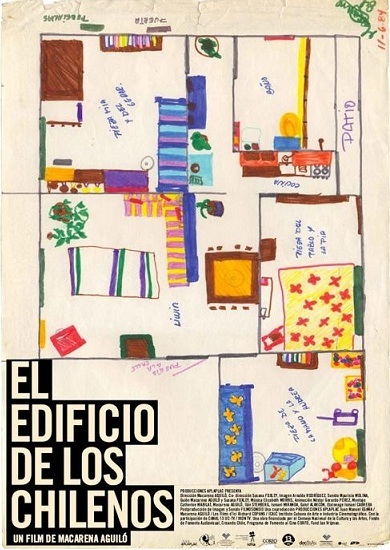 Finally, in The Chilean Building (El edificio de los Chilenos, we learn about children who remained in Europe while exiled parents clandestinely returned to fight Pinochet's regime. In a fine example of the "when it rains, it pours" approach used to schedule Bay Area film festivals, the 3rd Annual Maya Indie Film Series runs concurrent with SFLFF – sharing not only dates, but venues as well. Maya Entertainment is a leading distributor of Latino-themed U.S. indies, and this year's "seven city tour with seven films in seven days" kicks off on Friday, September 16. SF Latino Film Festival shares its opening night at the Embarcadero Cinema by spotlighting Maya's All She Can as the evening's co-feature. 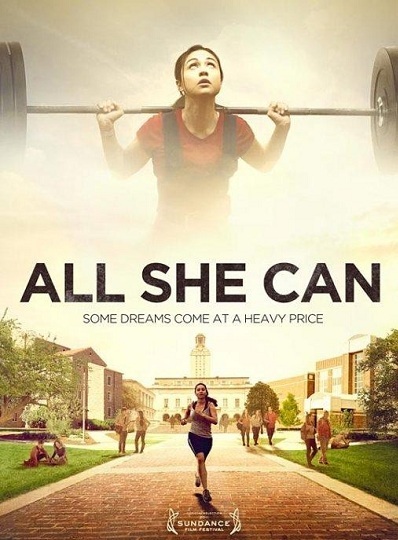 This directorial debut by Amy Wendel tells the story of Luz, a small-town Texas high school student determined to win a state power lifting championship. Incidentally, the Maya series doesn't quite add up to "seven films" here in San Francisco. For some reason we don't get to see Sympathy for Delicious, actor Mark Ruffalo's directorial debut co-starring Orlando Bloom, Laura Linney and Juliette Lewis, which is part of the series in other cities. In addition to co-opening the SFLFF on Friday evening, the Maya Indie Film Series begins at the Opera Plaza Cinema that same afternoon and remains there through Thursday, September 22. 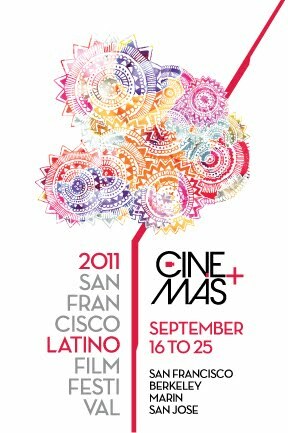 (On Saturday and Sunday, SFLFF and Maya will occupy three of the venue's four screens). All She Can and William Wedig's Forged will be screened daily, with the remaining four films filling out the schedule on a rotating basis. One possible highlight is the Peter Coyote-starring Di Di Hollywood, the latest from Spanish director Bigas Luna (Jamon, Jamon, The Chambermaid on the Titanic). The trailer looks like it could be trashy fun. "Very much of his moment, Pereda combines aspects of some of the most notable trends in contemporary world cinema, including elements of deadpan minimalism, slacker cinema, the documentary/fiction hybrid and long-take formalism. Pereda's films are among the chief testaments to the incredible vitality and creativity of Mexican cinema today."